A lightweight, durable rack focus lever that fits easily in your camera bag. 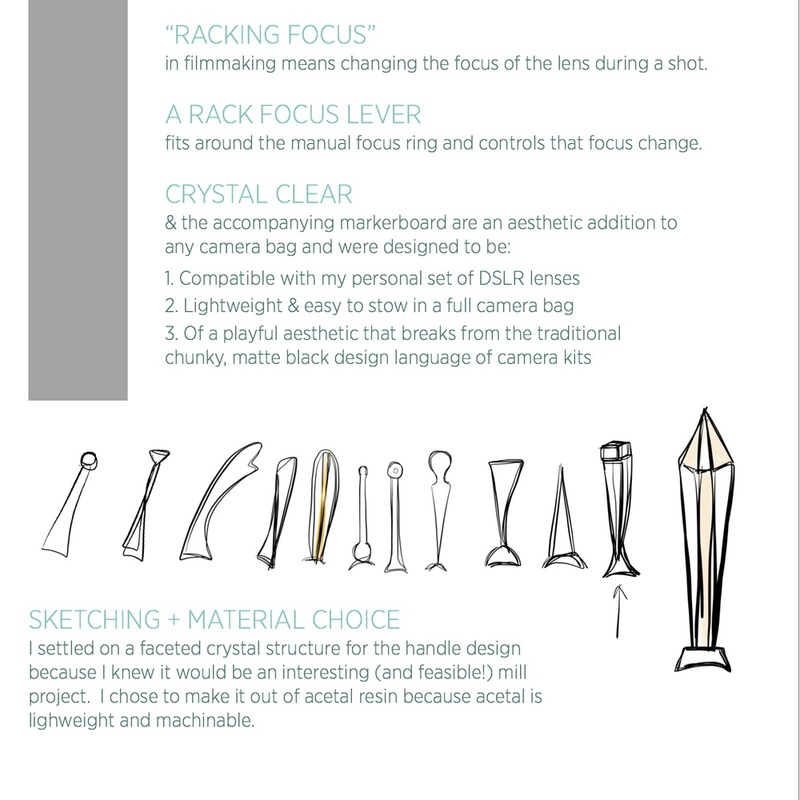 Crystal Clear is a rack focus lever that I designed and built for my camera kit. 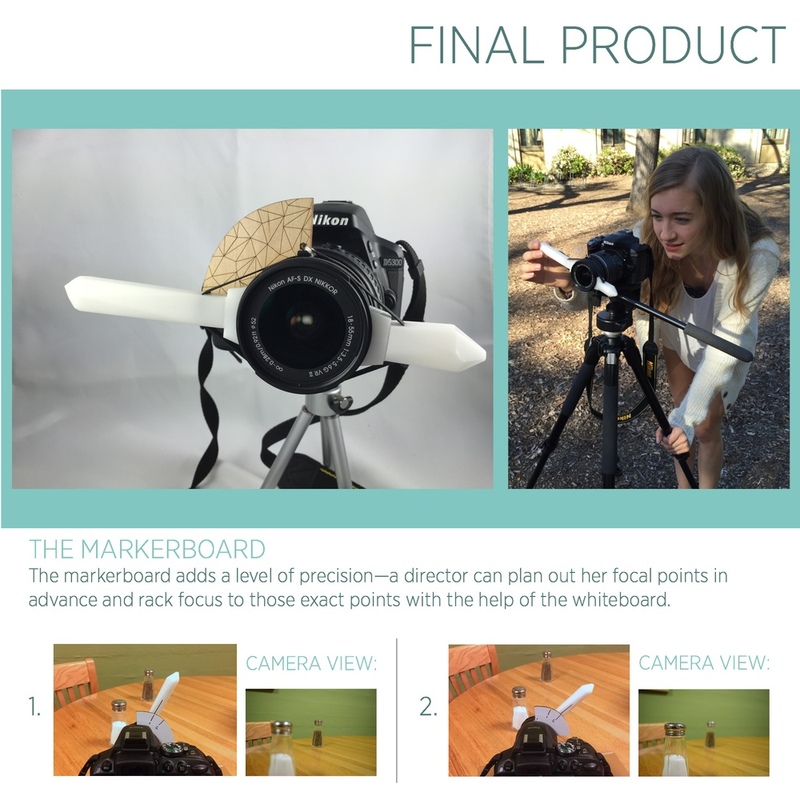 It's a filmmaking accessory that allows a user to rack focus smoothly between focal points during a shot. Handle, counterweight, and lugs were milled by hand. Laser cut marker board. Created in ME 203: Design and Manufacturing. 2015.